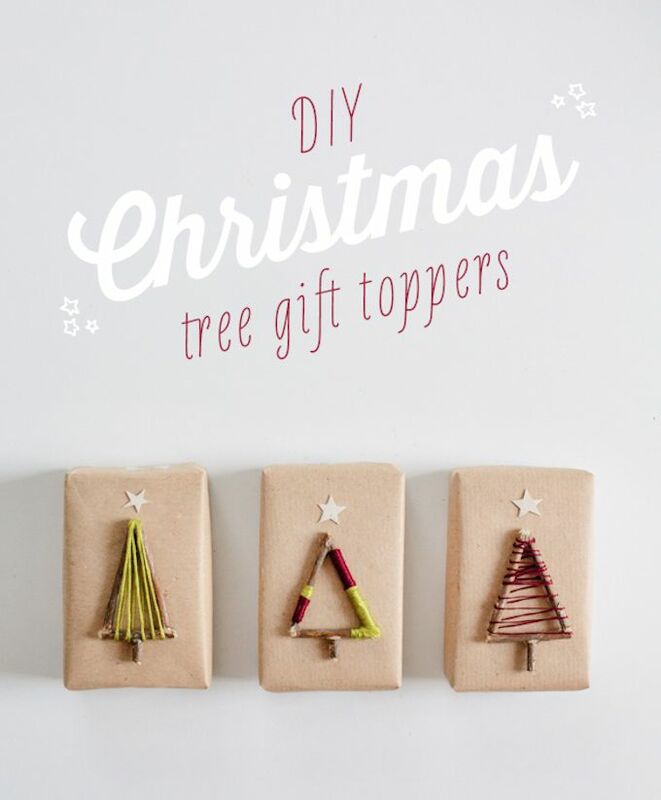 These DIY Christmas tree gift toppers from Fellow Fellow are a fun and cute Christmas craft. All you need is twigs, a hot glue gun, and some colorful yarn. I love the way these three look, but I could also picture a hundred other fun color combinations and ideas to try. You could also attach a little ribbon or a hook to the tops of the Christmas trees so that they also turn into Christmas ornaments. This would be a fun craft to do with kids or to do at a craft party or event. Especially if you go ahead and assemble the twiggy trees by yourself, and then it would just be a matter of decorating them.